Any day now, you will be born into this world. Words can not explain how excited I am. In fact, I have done a pretty good job of not showing my hand. Feelings and emotions is something I am still working on in my recovery. However I can tell you, I’ve been eating healthier, exercising a little and reading and writing a lot more. I’m getting ready for you son. I want you to know that you have an amazing mother. She will always protect you, with her life if she has to. You have three sisters. One a U.S. Marine, one a college student, and the youngest that’s in middle school, that is smarter than all of us combined. They are all beautiful and funny. And they all love you unconditionally. You have grandparents who will have a huge role in your life. You have five aunt’s (or Tia’s), and four Uncles, (or Tio’s). You have a bunch of cousins that will help guide you, as well as probably get in trouble with you. And you have Godparents who live on the East Coast who can’t wait to meet you. So you have a lot of family to look to for support throughout your life. I want you to know, that life can be amazing, challenging, hard, purposeful and unfair. You are going to have to make tough decisions. You are going to fall, but get right back up. I want you to know that I am nervous. But I also want you to know that I am sober. And because of that, I am able to raise you the best that I can. I am not perfect, but sometimes I proclaim that I am, so bare with me, the first 18 years, you actually do not have a choice! I can’t wait for you to meet Grandpa, which were you got your middle name. I can’t wait to hang out with you, teach you, laugh with you, guide you and most of all show you through actions of my own. A few things that are a must. You must always respect your sisters. You must always hold the door open for someone. You must always shake hands with confidence, you must know it is ok to ask for help and you must never be afraid to talk with your mother and I.
Jaxson I love you so much. 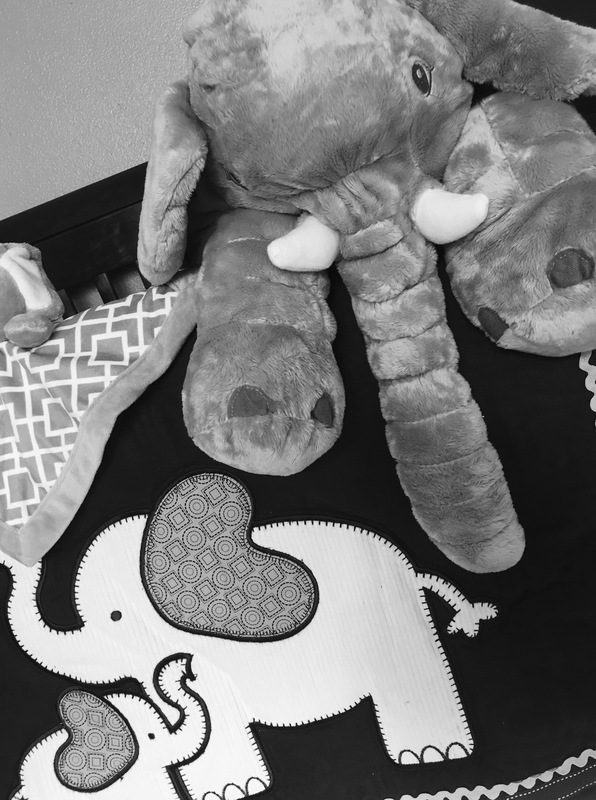 Your room is ready, your stuffed elephant that mommy bought you is waiting patiently on your crib. Your entire family is on stand-by, waiting for the “call.” Hurry!!!! And the last thing I want you to know son, is that you are my dream come true. Previous postDon’t like what you see, change the view!